Made by Bally in January 1976. 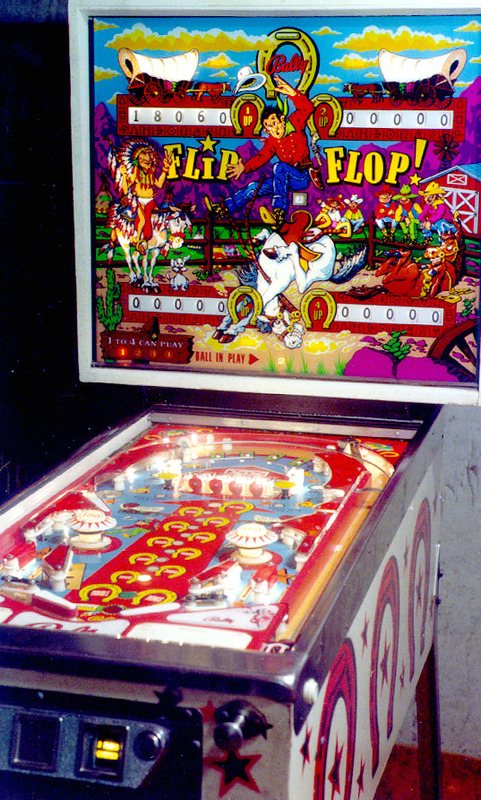 Several black and white photos of the backglass are found in Pinball Machines, by Eiden. I consider it one of the prettiest pinball machines I have ever seen. Backglass: shows cowboy being tossed by a bronco with indians and other cowboys looking on. The bright colors and detail are what make this glass so attractive. Playfield: Symmetrical layout with four flip cards at the top. The only other unusual item on the playfield is the layout of the in/out lanes. The lanes are designed such that a sufficient nudge will return the ball from the outlane to the inlane. This lane configuration is not easily visible in the above image. Cabinet: Colors are bright red with black shading on a white background. The stenciled shapes are horseshoes. 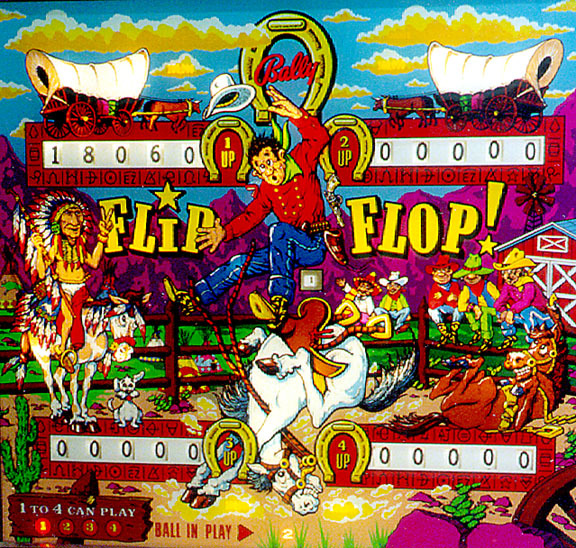 This machine in one of three made by Bally that have flip cards. This page is not complete. Please check back for its completion.